We are all seekers. Some find their path on pilgrimage to the Mahabodhi Temple in India or the Haji Ali mausoleum as they embark on a journey to Mecca; others find God at the burial site of St. James in the Cathedral de Santiago de Compostela in northwestern Spain. Author and environmentalist Doug Alderson meets the Great Spirit through the ancient spiritual practice of walking. 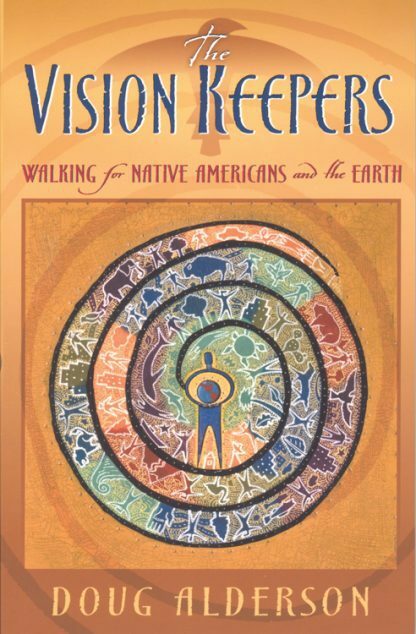 The Vision Keepers is the compelling true story of a seeker who, under the guidance of Bear Heart, a Muskogee Creek Indian and Medicine Man, finds unity with our nation�s native people and reconnects with the earth through profound and mysterious means. At a time when our global community is in great conflict, we can learn much from Native Americans. The Vision Keepers not only recounts the story of one man�s experience with native people and their spirituality, but it offers unique insight into the struggles of an entire culture, personal reconciliation, world peace, and preservation of the Earth and its ancient wisdom.